Auto Fabrica co-founders Bujar and Gaz Muharremi linked up with designer and close friend Toby Mellor to lay down the blueprints for the “Type 11” Prototype One. This design focused on blurring the lines between classic style and modern surface language. 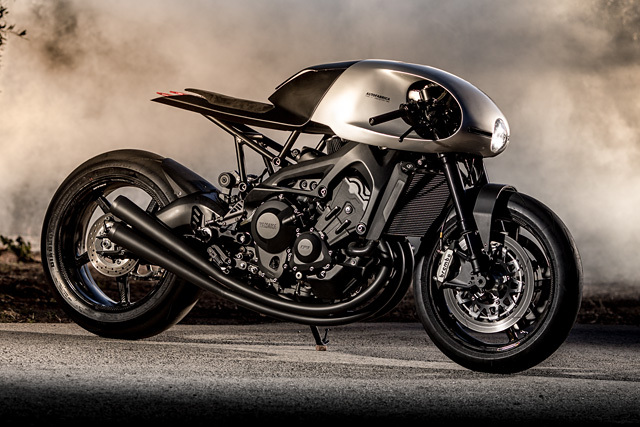 The team decided this would be a track-only motorcycle so they wouldn’t be held back by the regulations for day to day road use. Auto Fabrica co-founders Bujar and Gaz Muharremi linked up with designer and close friend Toby Mellor to lay down the blueprints for the Type 11 Prototype One. This design focused on blurring the lines between classic style and modern surface language. The team decided this would be a track machine so they wouldn’t be held back by the regulations for day to day road use. 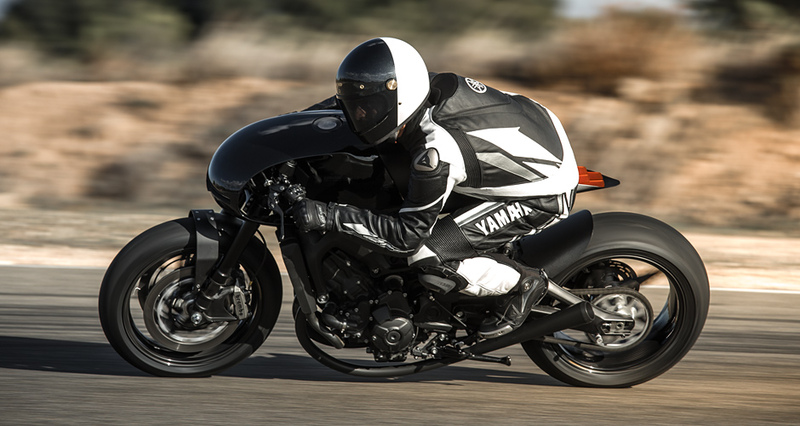 The Prototype One is race ready down to the smallest detail and oozes raw power. 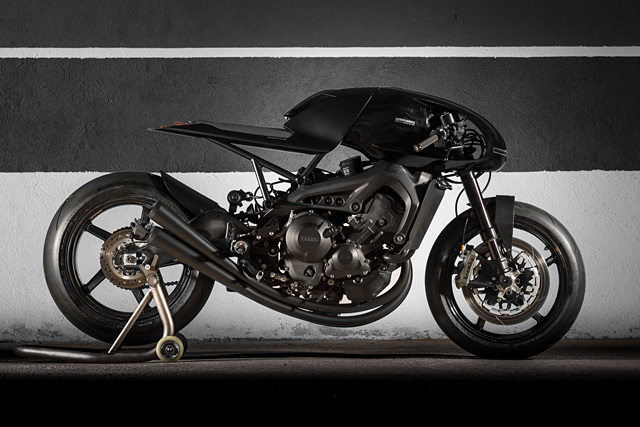 Custom Öhlins suspension, Brembo calipers, specialist PFM brake discs and BST Carbon Wheels provide stunning handling. 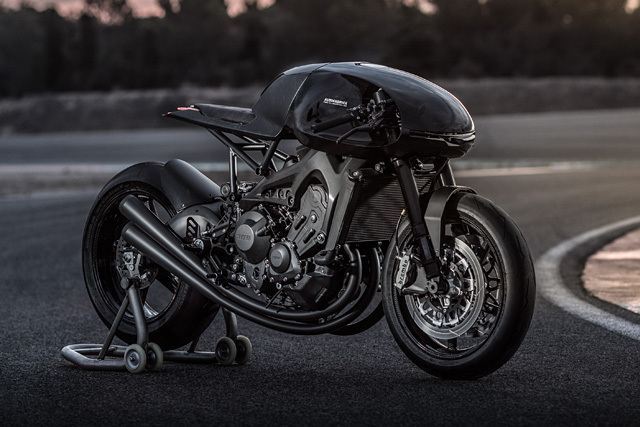 Carbon-nylon 3D printed, CAD designed elements combine with hand-laid carbon fiber elements featuring Zirotek coatings, which were specially selected and designed to fit harmoniously with the radically-styled handmade wrap-over aluminum body. 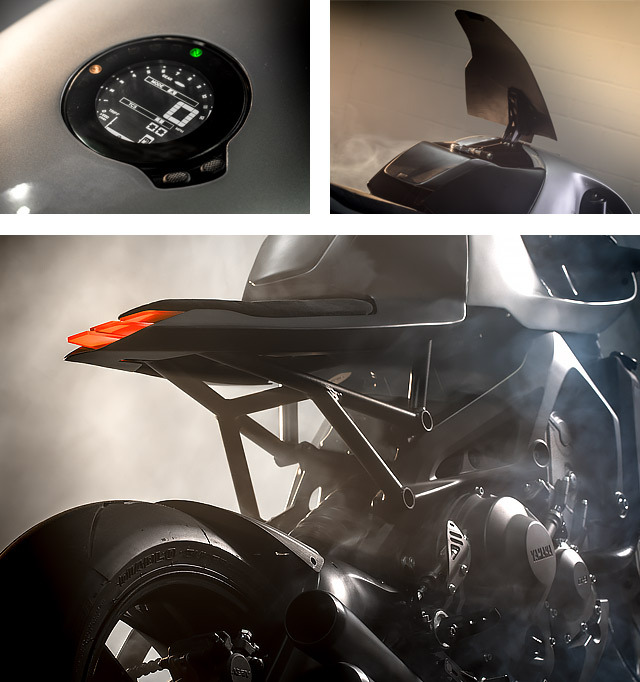 A flush fitted dial, contrasting seat unit, quick fill race tank and handmade 3-into-3 exhaust top it all off. It quickly became clear that Prototype One was only the beginning of the story. 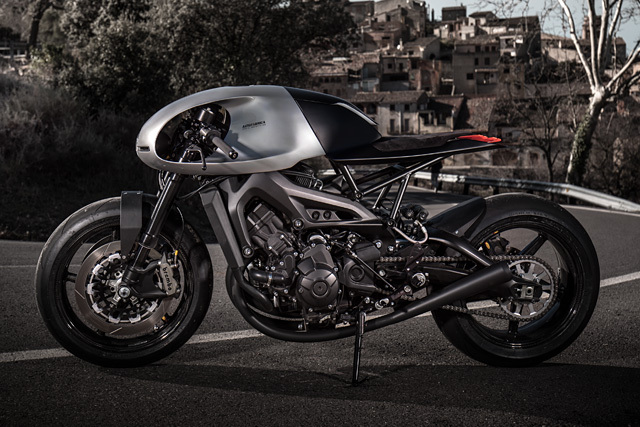 Auto Fabrica wanted something with the same DNA that they could take to the road. 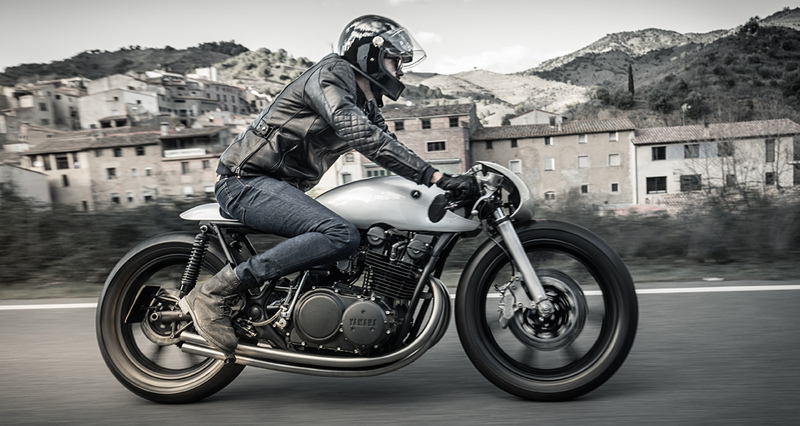 The Prototype Three took shape, this time using a true legend as the base: the Yamaha XS750. 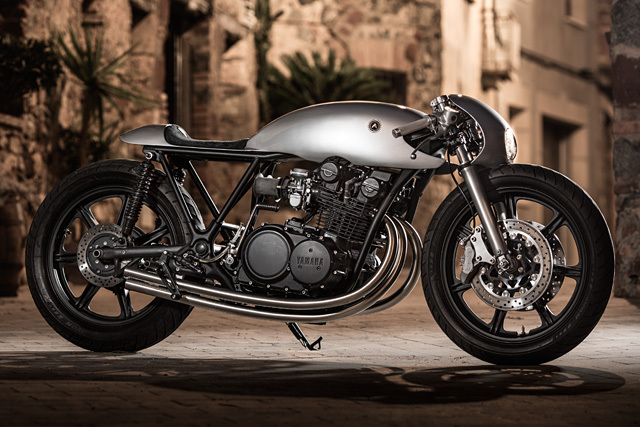 With the style of the 1970’s, the XS750 fits with the Auto Fabrica love of modern design on classic lines. Performance parts were added for power, and the team brought the historic machine right into the future. Brembo calipers and a Motogadget Speedo mix with flowing forms created using traditional panel beating techniques and hand forming. 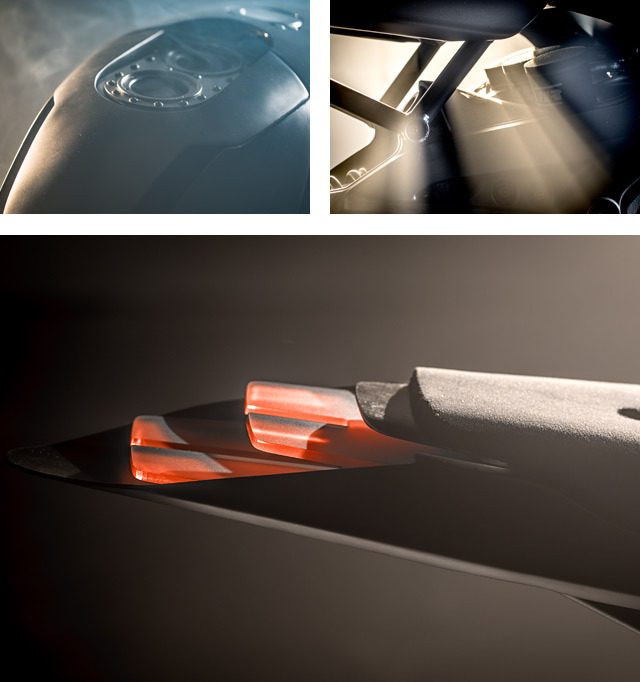 All these blend with creative interpretations of classic designs, like the 3D printed velocity stacks and bespoke headlight structures. 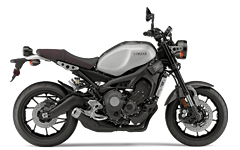 The signature exhaust also marks the creation as unmistakably Auto Fabrica. After building the Prototype One and Prototype Three, there was only one place to go. The “Type 11” Prototype Two took everything from the first two builds and combined it into a road going machine. 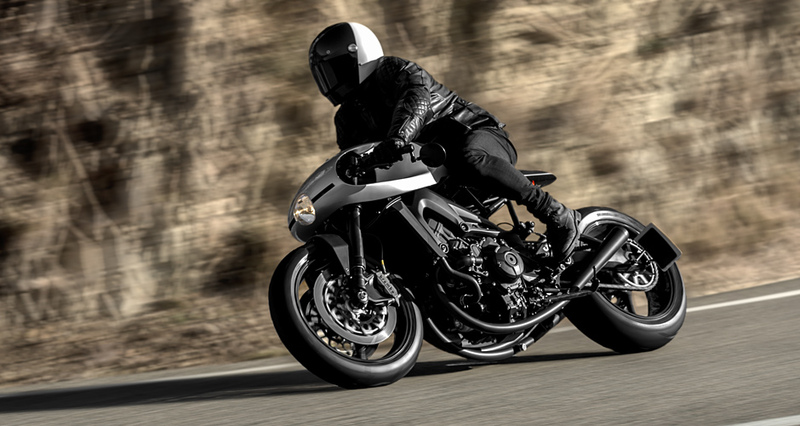 The Prototype Two was built on the Yamaha XSR900 base and takes its performance perks from the Prototype One, and its attention-grabbing aesthetics from the Prototype Three. 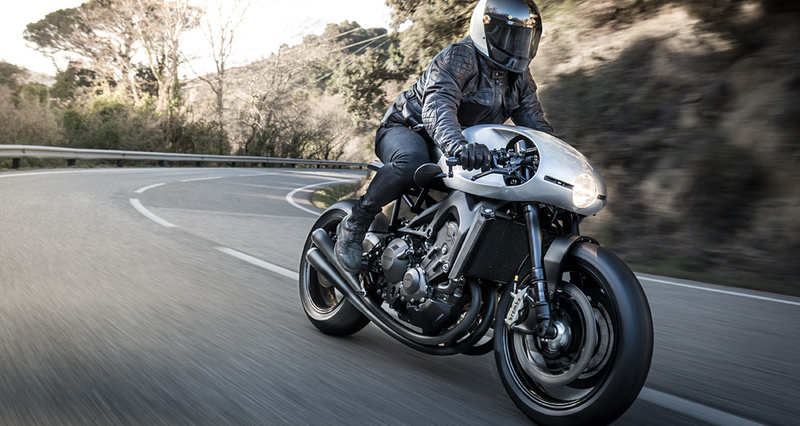 High quality, bespoke, blended collections of design philosophies and techniques give the Prototype Two its powerful visage. A round headlight, conventional fueling, trimmed seats, indicators, road tires and matching metallic silver paint tie the finish of Prototype Two to the classic style of Prototype Three. After building the Prototype One and Prototype Three, there was only one place to go. The “Type 11” Prototype Two took everything from the first two builds and combined it into a road going machine. 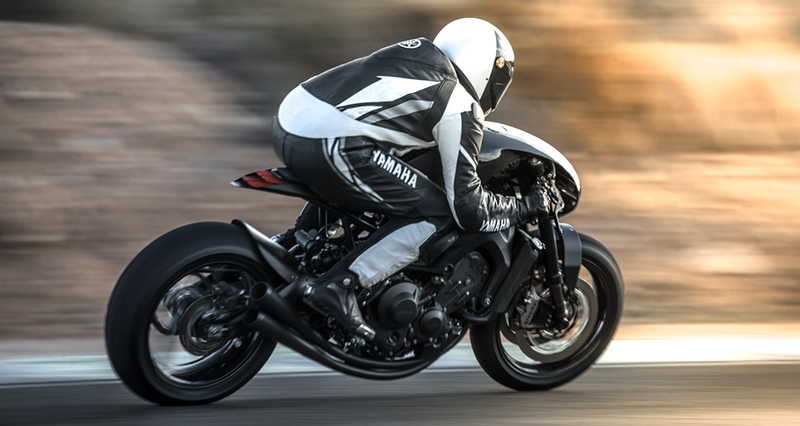 The Prototype Two was built on the Yamaha XSR900 base and takes its performance perks from the Prototype One, and its attention-grabbing aesthetics from the Prototype Three. 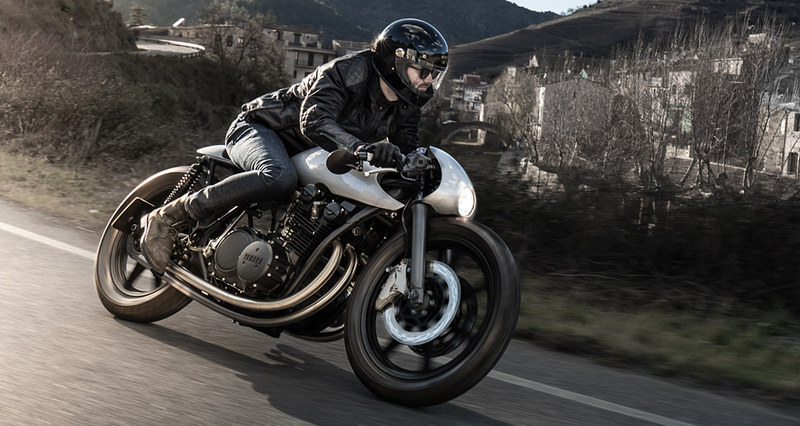 High quality, bespoke, blended collections of design philosophies and techniques give the Prototype Two its powerful visage. 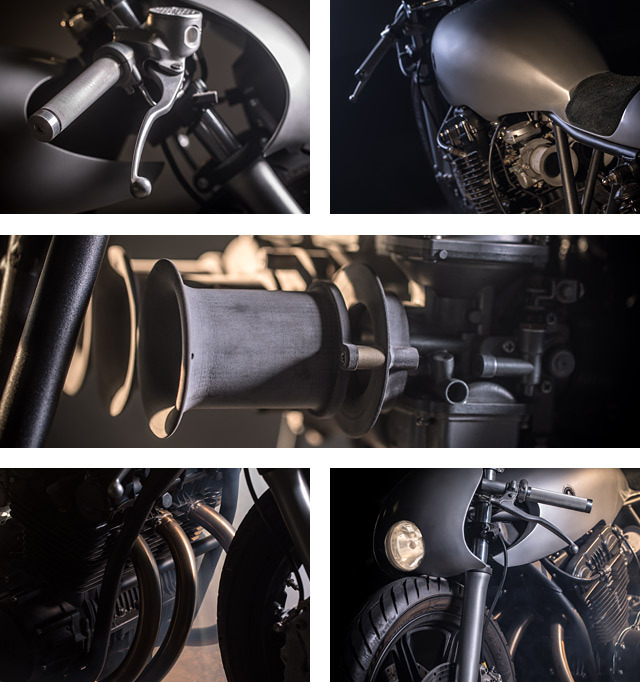 A round headlight, conventional fuelling, trimmed seats, indicators, road tires and matching metallic silver paint tie the finish of Prototype Two to the classic style of Prototype Three. 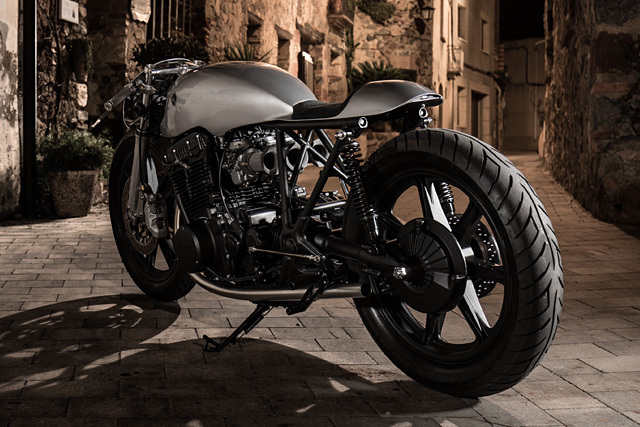 The Prototype Two will be supplied in a strictly limited run, sold as the Auto Fabrica “Type 11” and tailored to order with the first deliveries expected between Summer and Autumn 2018.